Did you know you can substitute ½ cup of yogurt for ½ cup of butter for healthier treats? 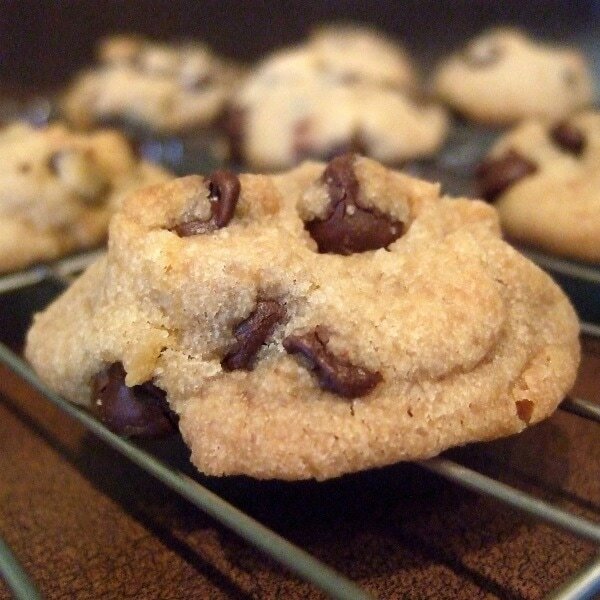 Hence the name Chocolate Chip YOGURT Cookies. Let us know how you like them! In a large bowl, combine sugar, brown sugar, and butter. Beat until light and fluffy. Add yogurt and vanilla; blend well. Stir in flour and baking soda; mix well. Stir in chocolate chips. Drop dough by rounded teaspoonfuls 2 inches apart onto a cookie sheet. Bake for 8-12 minutes or until light and golden brown. Cool 1 minute and remove from cookie sheet.